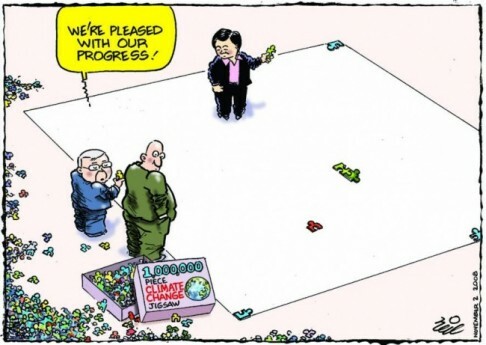 Reposted from original publication at Greenbiz.com, 12/8/2015, before the conclusion of COP-21 in Paris. We welcome your feedback on what you see are the key “chess pieces” of 2016. Climate Chess differs from ordinary chess. It isn’t played on a conventional chessboard. It also differs in that there are many players, and the two sides do not have the same number and kinds of chess pieces. But the chess frame aptly characterizes the complicated and strategic challenges of climate change. It also integrates easily into scenario planning on climate risks and opportunities, which more companies should be doing. 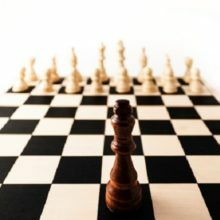 In Climate Chess, the pieces on one side represent ways in which we can advance climate change mitigation goals: carbon taxes, K-12 education and technology innovation, among others. The opposing side represents barriers to mitigating climate change: active climate change denial, economic externalities and cognitive dissonance, among others. Hope springs eternal that evidence of climate change will trigger a “do something!” backlash in the U.S. This year saw almost every global temperature record and many local records broken. It’s not at all clear that this will elicit much public alarm or calls for action. There’s actually a double-edged sword in play here. As people become more accustomed to extreme events attributed to climate change, they could just as easily respond with a metaphorical yawn as with a “do something!” message to policy makers. That could make it harder for many other chess pieces to move forward. TheBrain company, developer of the TheBrain® software used to build the Climate Web, hosted a free webinar to demonstrate the the Climate Web. The recording is available here.